How can Customized T-Shirt Designs Reflect the Identity of Your Business? Whether you have just set your foot in the business industry or have been a part of this vertical for a while, you know the need for promoting and marketing your products and services. Various promotional strategies provide ample opportunities for the business owners to interact with their customers in a much more personalized manner. Moreover, they also play a crucial role in encouraging the people to get onto a course of actions, be it making a purchase, writing a review or being a part of the surveys. One of the most effective ways which are getting quite popular in the contemporary is offering customers incentives in the form of customized t-shirts, hoodies, mugs and a lot of many things. They take action, you reward them with an incentive. Fair enough. In this write-up, we will shed some light on the ways by which you can make use of personalized hoodies and t-shirts as a part of your promotional strategy. If you are looking forward to expanding your social media impact, you can host various contests and surveys and give away personalized hoodies and t-shirts having the logo of your company as a reward. Make yourself more active on social platforms like Facebook, Twitter, Instagram and invite people for liking, sharing and commenting on your posts for taking part in your contests. At the end of the contest, gift customized t-shirts and hoodies to the winners. Do you want to promote the products that you have recently launched? 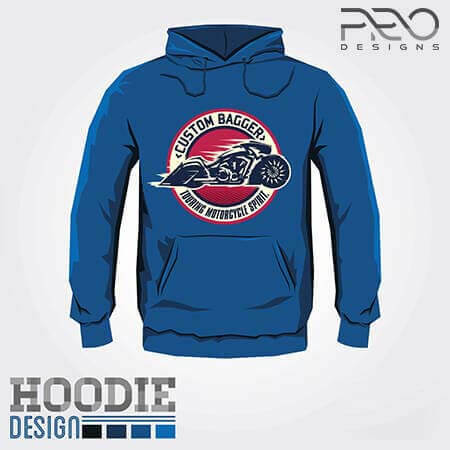 Design a hoodie or a t-shirt and get your logo imprinted on them. Advertise your new product by giving out the t-shirts and hoodies for free. For making it more attractive, add some more freebies to the package. Customers enjoy getting freebies, and they are more likely to end up in buying your product if they will get some free t-shirt or hoodie with it. If you want to hear back from you customers, be it good or bad, you need to come forward and ask for it. You can conduct a customer feedback session wherein you can ask the customers for their honest feedback. And let me tell you, it will not be easy for you to invite them to be a part of such surveys. Therefore, one of the best ways to attract more and more customers is by handing out customized t-shirts with great t-shirt designs to all those who successfully finish the survey. Not just customers, it is very important to take care of your employees as well. You can show appreciation to your team by gifting them personalized hoodies. You can also add some spice to this, by offering custom t-shirts to the employees who make the highest sales, engages the maximum customers or come with new ideas for the business growth. You can create bang-on t-shirts with the t-shirt designs that the winner loves, to give it a more personal touch. Apart from giving away the customized t-shirts and hoodies to your customers, you can make all your employees wear them. Select a hoodie design or t-shirt design by placing your company logo on it; this will make you and your employees feel more connected to each other; this also proves to be helpful when you are taking part in a seminar or working on an on-site project. This way you will help in promoting your company and build a great customer base. The key to success lies in being creative. And with such customizable products, you can end up in garnering a lot of success for your business.